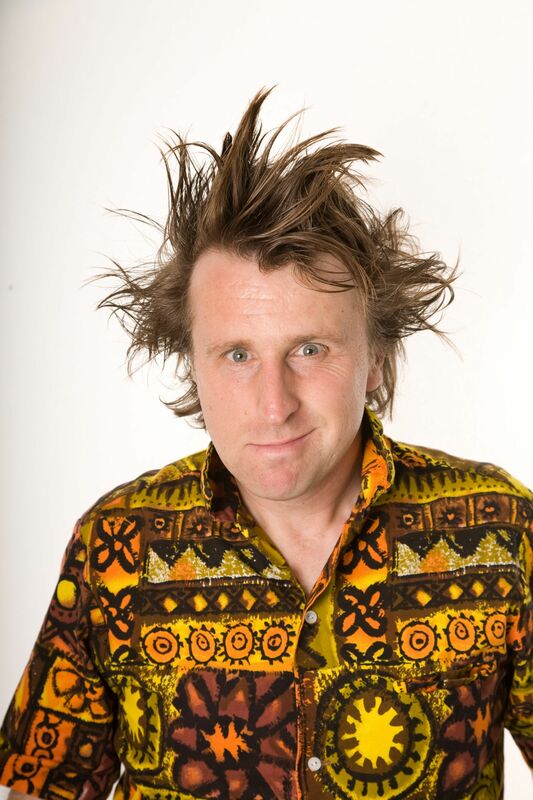 Milton Jones, you know the Hawaiian shirted wild haired one-liner comic who frequently graces ‘Mock the Week’, rolled into Dunfermline for the latest stop on his massive countrywide tour and such is his stature in the comedy world, he had not one, but two, support acts. With around 800 other people in place, the Alhambra Theatre Dunfermline was certainly the place to be and I think it is a fair assessment that they had a good time and then some. The opening act was ‘Milton Jones’s Granddad’ and judging from the style and material this old buffer delivered, it is obvious where Jones gets his talent from. A few minutes of his silly, witty and funny ramblings nicely got the crowd warmed up for the acts to follow, the first of which was young up and coming talent James Acaster. Acaster is from Kettering in middle Englnd and he started off on his set of stuff encompassing strange subjects such as Weetabix , cheese graters, talking money and bread research, all gentle stuff, funny if not always hilarious to most but not one guy. How James had angered him most were at a loss to know but shouting out abuse the guy left. Well, that reaction spurred Acaster to greater things, the set was shelved and he riffed through the remaining time with great aplomb. His improvised stuff was really funny and drew howls of laughter from all parts of the theatre and to me showed what the guy is capable of. The only loser here was our friend who left. 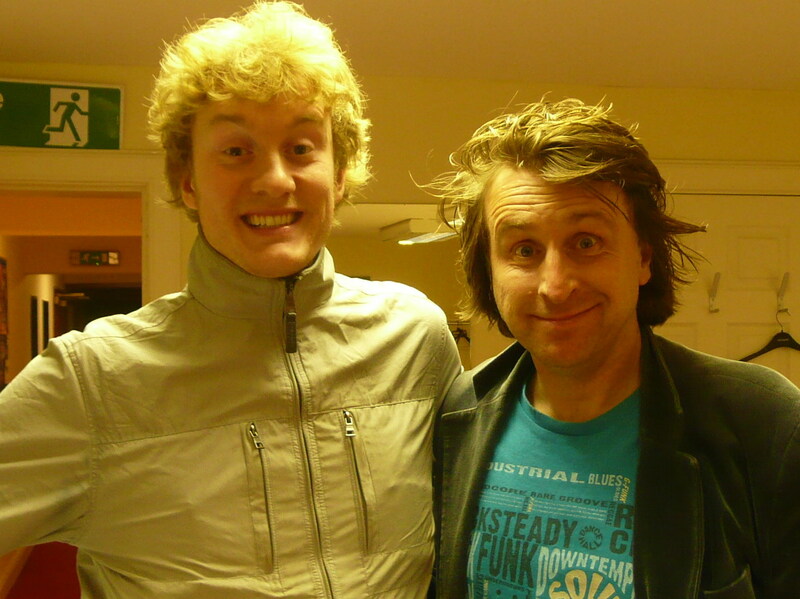 Milton Jones however was the act everyone wanted to see and once he hit the stage there was no stopping him. Like those of a similar delivery style such as Gary Delaney, Stewart Francis and Tim Vine his material consists basically of one-liners relying heavily on puns to sell the gag. I wondered prior to the gig if I would get bored of this in time, but such was the quality of material and delivery that the hour flew by, and I could have handled much more. The comic timing the guy possesses is to die for and he has the character off pat. It must be difficult for him to sustain the high standard thoughout, but maintain it he does. And another thing, I noticed about him, there was not a single swear word uttered from the stage all night and that’s not something you could say about many gigs. Milton Jones has done the hard yards early in his career and now is beginning to reap the rewards. His major tour had had to be extended due to public demand and one can understand why. To see if he is playing near you check out http://www.miltonjones.com and for future dates at The Alhambra then http://www.alhambradunfermline.com is the site to be on. The news of an exciting new venture is hitting the streets of Edinburgh with the opening night being on Friday 28 October. The Shack, situated in the heart of Edinburgh’s famous Rose Street, opens its doors at 7-00pm with a comedy show commencing around 8-00pm. 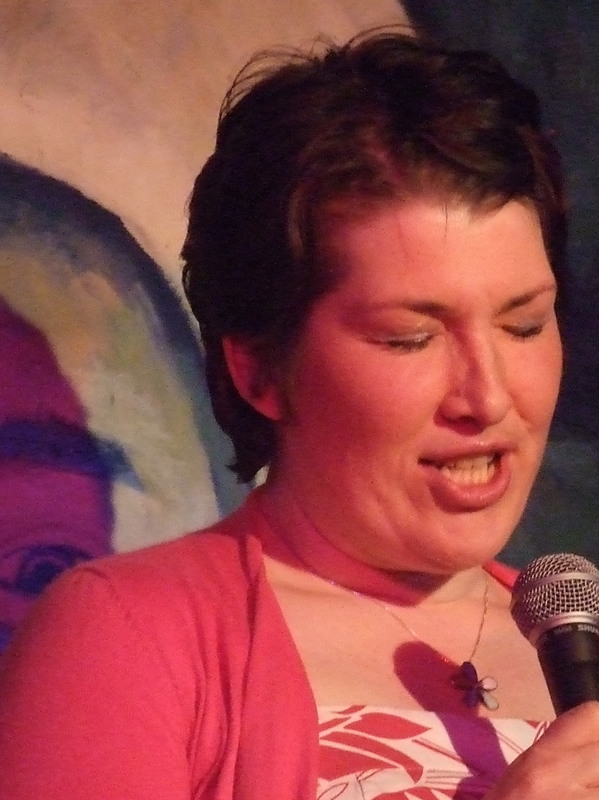 It promises national and international comics from the off all compered by Jojo Sutherland. At the end of the comedy set why not stay on for the 70’s and 80’s club night and dance the night away without venturing into the wilds of Edinburgh’s winter weather. It is not often that a musical as complex as Chess is performed by an amateur company, probably because of the demands made on the cast and company by the show. But then it is not so often that there is an amateur company with the gravitas of Limelight Productions around. Originally staged in 1986 in London’sWest End, this musical written by Tim Rice, Bjorn Alvaeus and Benny Andersson, the latter two of Abba fame, is it in the world of international chess during the cold war period. It features all the point scoring and underhand dealings that go on away from the game itself as probably the manipulation of the principals is more relevant than the game itself. This musical has had various rewrites over the years, but what has not changed so much is the quality, or the demands, of the songs written by the aforementioned trio. Limelight Productions have always been blessed with a seemingly endless pool of quality singers to choose from, it must be so difficult to cast each show with such depth available, but the seven principals of this production are more than equal to the task. Act One, set in Merano Italy pits defending American champion Freddie Trumper, Bobby Mitchell, against Russian challenger Anatoly Sergievsky, Ian Hammond-Brown, with all the others, Freddie’s second Florence Vassey, Kate Haley, Anatoly’s wife Svetlana, Suzy Burnett, The Arbiter, Darren Niven, Russian delegation leader Molokov, Michael McFarlane and American TV exec and maybe CIA agent Walter, Mark Grieve, manipulating the situation like grand masters themselves. Act Two, a year later, now in Bangkok sees the main protagonists still actively involved, okay with some role differences, plotting their moves as before all culminating towards the final endgame. Add to these seven, there are an enormous number of equally important and talented performers as the ensemble and dancers also. In excess of thirty if I counted right, and an onstage choir numbering at least twenty so you can see the magnitude of the production that was undertaken by this group. Somehow director Bobby Mitchell, ably assisted by Graeme Sharpe, and the choreography team of Laura McFadden and Darren Niven, using all their experience managed to get them all on and off stage with the minimum of fuss and drew fine performances and routines as the show demands. For me the quality of the music is the hook the whole show was hung on and the band provided a top-notch bed for these classic songs such as One Night in Bangkok, I know him so Well, Anthem and Pity the Child to be performed over, and under the musical direction of Paul Gudgin and Jean Davis they all performed to the standard I now expect from this company’s shows. The lighting design and plot delivered some interesting scenarios, and apart from the occasional early mic glitch the sound delivery through out was spot on. I feel personally that Chess has never received the acclaim it truly deserves and was delighted with this performance. They should be rightly proud of themselves. So go on, if you live in the Dunfermline area and enjoy top quality theatrical experiences then get yourself along to the Alhambra Theatre Dunfermline either Friday 7 or Saturday 8 October prior to 19-15 each night and grab a ticket, there maybe some left, but hurry. It was a miserable Wednesday night in early October. The much heralded Indian summer had bypassed Edinburgh, except for the monsoon part that is, so how to cheer oneself up? Easy. 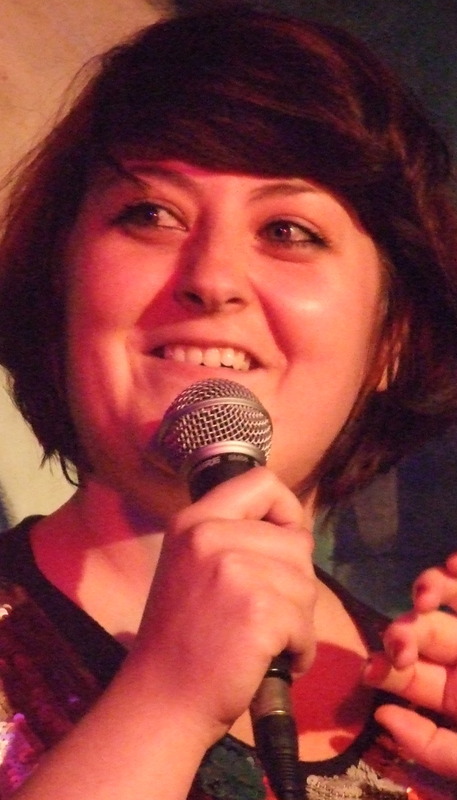 The first Tuesday in every month see those Wicked Wenches gracing the stage atEdinburgh’ finest comedy club The Stand, so whatever the weather outside the club atmosphere is red hot. 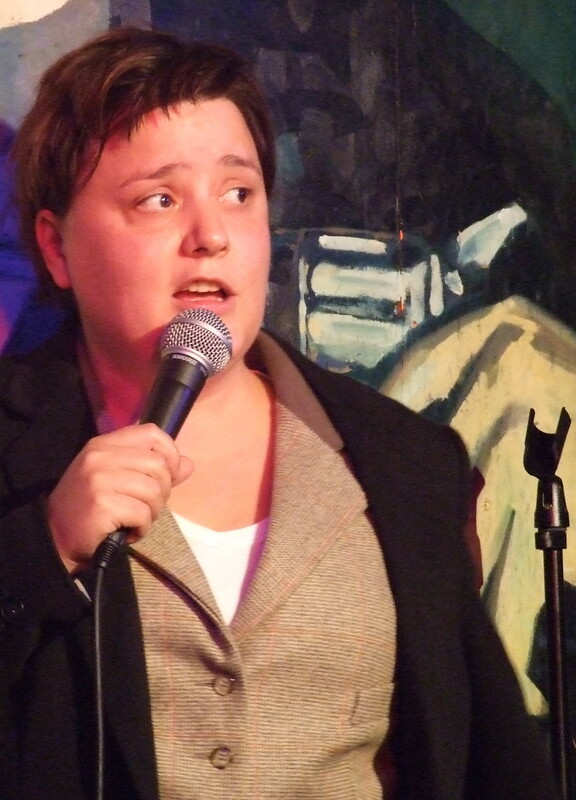 As usual for this show MC was Susan Calman, a perennial favourite both as a comic and media presenter. For once we had to see the sterner side of her as a couple of …. let’s call them disruptive influences, initially caused an issue or two prior to being firmly put in their place by the Calminator. That aside she was as always everything you could ever hope for in a compere, funny, informative and fact finding for others to follow to pick up on. The opening act was Kiri Pritchard- Mclean, a new name to me but this welsh lady was obviously in command from the off. She had plenty of stage presence and charisma and a whole swag bag full of material, surprisingly some of it rather dark, a lot clever and some political. All in all she did really well and I look forward to watching per progression in the industry. Following the first interval and a whole wad of hilarious material from Ms Calman, the lady entrusted with the 10 minute slot was another new name to me Elaine Devlin. She commanded the audience from the off with her calm, easy going style and had a well constructed and delivered set largely based on motherhood, pregnancy and contraception and it certainly had a few twists and turns along the way. Again an act I’d be happy to see more of in the future. 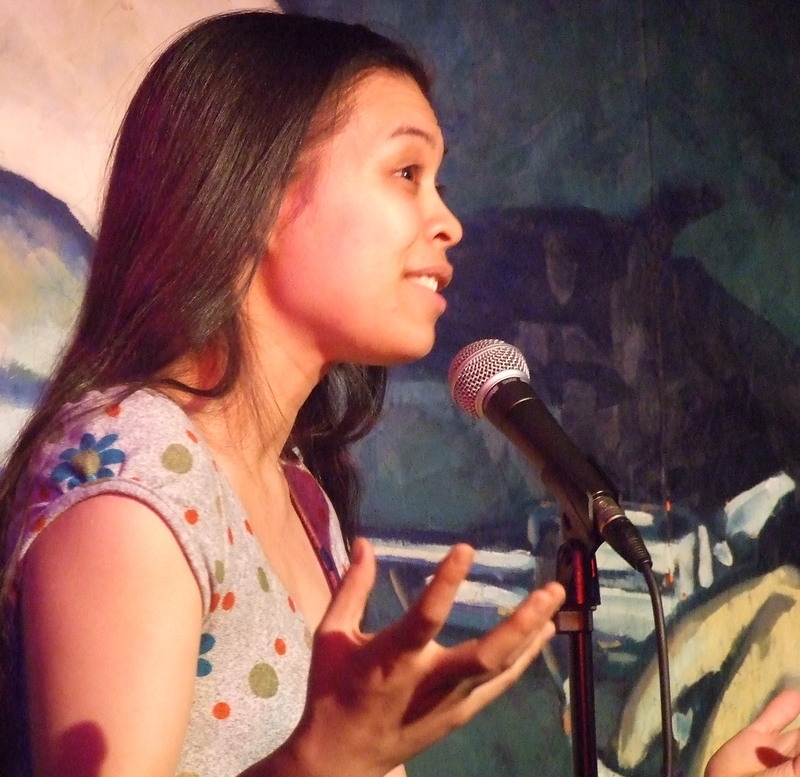 Closing out part two was the diminutive actor comedian singer Ria Lina, the third new name for me, but like the others certainly did her reputation no harm at all. Although she looks like she is still at High school, in fact she is a wife and mother, Ms Lina has maturity in her performance, and a wicked line of material that had the busy crowd with her throughout. Be it her gags and stories, her comedy songs accompanied by her trusty ukulele or her often slightly self-deprecating style I’m undecided, but I know I would see this performer again with in a heartbeat. 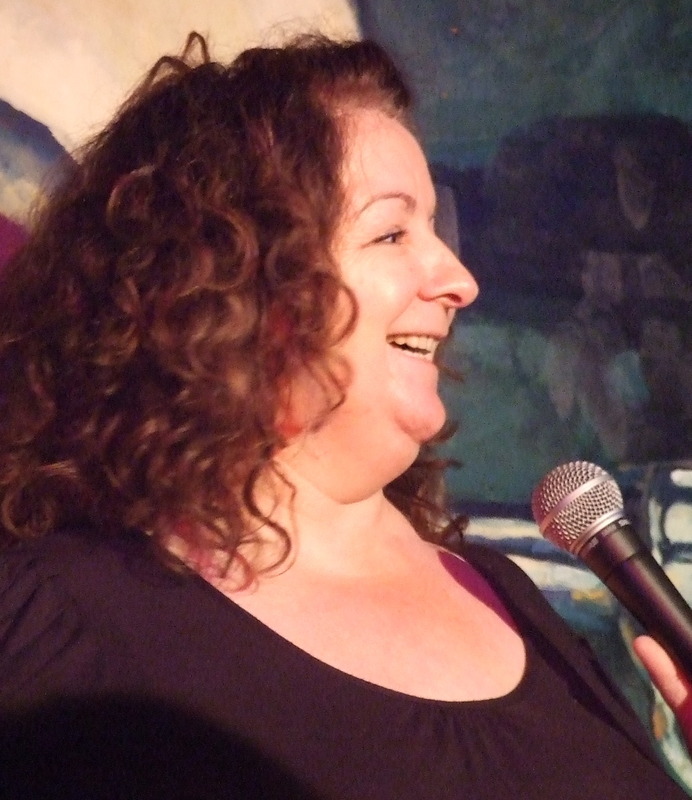 Following the second interval and a prize draw headliner Janey Godley to over and boy did she rock the club. Now I have see this Glaswegian lady perform a fair few times over the years and have never been disappointed, and certainly on this night I, along with the entire audience it seemed were treated to an exceptional set. Janey has a knack of always delivering quality material, superbly written, observed and delivered in a style that seems she is talking directly to the individual. The pace is spot on throughout, the laughs flow thick and fast as like the consummate pro she is, Ms Godley delivers in spades. There was only one complaint. How did her set, although 25 minutes in duration, seem to only last for ten? Oh well I’ll just have to wait till the next time to see more I suppose. All in all a wonderful evening as usual and I look forward to returning to The Stand in the near future. To check out what is on in both Edinburgh and Glasgow go to their website www.thestand.co.uk for details and also watch out for the new Stand opening inNewcastle shortly.